When one world just isn't enough. After the success of such international dance hits as "9PM (Till I Come)", "Don't Stop", and "Killer", alongside his debut album, it was only a matter of time before we got a follow-up from German DJ and producer ATB (not to be confused with the Active Time Battle system from popular RPGs). And a follow-up we did indeed get in "Two Worlds", a two-disc extravaganza featuring two different sides of the producer: the dance music aspect and the more ambient nature of his musical mind. The end result? ...Not quite the treat I was hoping for. The first disc, entitled "The World of Movement", puts his beats first and foremost, starting with See U Again, a track very reminiscent of his previous album, focusing on islander percussion and smooth pads as ATB himself says "I'll see you again... on the other side." Is he predicting our impending doom? Should I be concerned?! This track serves as the perfect transition between albums. Although it's not a particularly memorable song, it could very well be used to link the two albums as one. And then we get into Love Will Give You, a chill tune featuring the vocals of Bermuda-born songstress Heather Nova. I'm going to say it outright: I don't think her voice fits on this album. Fans may disagree, but he has worked with far more fitting, less wobbly-voiced singers in other productions. Love Will Find You has a very odd chorus melody, especially near the end — it's more haunting than inspiring. Next is The Summer, another of ATB's tracks modeled with a pitched guitar, one of his early staples, as its primary hook. Though not exactly any more standout than 9PM or Don't Stop (previous hit singles), The Summer is harmless aural fun and a decent-sounding dance track in its own right. You'll easily remember the melody, as well as ATB's creepy "The summer is here... you wanna feel somebody..." lyrics. ATB then drops Loose The Gravity, a higher tempo trance thumper with an unfortunately misspelled title. Soft synths try to lead the way into etheria, but what we ultimately have here is a forgettable, average-at-best-but-not-even-that song that is more filler than anything else. ATB then slows down (even though he should have saved that for the second disc) with a downtempo, introspective number in Feel You Like A River, featuring the overemotional crooning of Heather Nova yet again. This song, filled with atmospheric underwater background noise in the background that gets a bit irritating quickly, simply doesn't belong here. The vibe is very off, especially compared to what ATB had come to stand for. Plus, Nova's wailing is more like whining at times, and it grinds on the nerves a bit. If you like those vocals, all the power to you, but ATB could, and did, find more suitable artists to feature. The Fields of Love is another joint effort, this time teaming up with another popular artist, York. With York in the picture, you can certainly expect a tropical vibe, as well as plucky, inimitable guitar moments. And in this case, the track does not disappoint, even though it does resemble The Summer to a degree. Funny enough, an instrumental version of this song was featured very heavily in Mary-Kate & Ashley's Winner Circle, an equestrian video game for the PlayStation. Didn't expect to find it there, did you? This is followed up by Let U Go, a solid dance tune featuring Roberta Harrison from the Canadian group The Wild Strawberries. ATB will revisit this track several times in his career, updating it and reshaping it, including making it a single by altering it significantly. But the album version is not bad, using a nice guitar pluck as its chorus to complement the now legendary vocals. It's worth a listen. But the guitars never go away, especially when Bring It Back begins, although that doesn't last for long before a sweet, jivin' 8-bit bassline drops amidst the funky beats. This is definitely one of the cool highlights of the album, mostly because it's so different than everything before it. Danceworthy and shuffleworthy, it's definitely one of the highlights because it's so simple yet so catchy! Hypnotic Beach goes in the opposite direction, loading up the eardrums with muffled pads and slightly cheesy marimba effects slowly build up to a strange melody, one that...isn't really one at all... more like showing off how you can hold one note for a long period of time, really. Hypnotic Beach is a curiosity at best and a filler in truth. You would assume that a song called Fall Asleep would be rather ambient, but you would be wrong in this case. It starts out sounding like a typical islandic ATB track until that sharp-as-a-knife bass kicks in and slices through the song like a puma. You won't fall asleep to that noise. We end the first disc with Klangwelt, an experimental conclusion with a bit more breakbeat style along strange analog bass jabs and other noises before it re-enters standard territory with pitched-up guitars and trancy pads. Klangwelt tries to be the jack of all trades and ends up simply not knowing its own identity. It's a neat little tune but probably not one you'll remember in a day's time afterward. 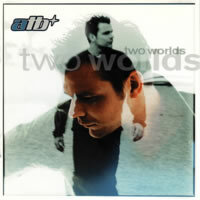 Flexing his more chill side (which he already did to a certain degree thus far), ATB offers "The Relaxing World" on Disc 2, a collection of songs designed for either the beach at sunset or just a quiet evening at home. This is the first of its kind for ATB, although he'll keep adding "chillout" discs to many subsequent albums. Songs like First Love offer a jazzy take on trance with quick little guitar riffs and a far more fluid beat to follow, while Feel You is a piano-driven relaxing trance tune coated with ambient background noise that could very well have fit on his first album. ATB has even opted to create a slightly more chilled version of The Summer with the Ibiza Influence Version, should you so desire it, although to be honest, it's not THAT much more chilled at all — the same beat and energy is alive here. Though his second discs are often overshadowed by the power of the first ones, there are definitely other standout tracks here. Sensuality's simple tropical hook right from the get-go is enough to keep listeners amused. Another highlight is the collaboration with new age producer Enigma on Enigmatic Encounter, which sounds exactly like what you'd expect if the two ever collided: sensuous beats, Enigma's signature horn, and an overall organic feel that makes this a pleasure on every listen. Ultimately, the second disc really gives ATB more room to shine than the first, and believe it or not, it's the strong arm of the album overall. ATB already suffers from lag in ideas on the "Movement" disc — alongside issues with his choice in vocalists — but his idea to include a more relaxing angle was worthwhile. My recommendation is to give the first disc a quick listen but focus more on the second for maximum satisfaction. This may be a glimpse into ATB's two worlds, but only one is truly habitable.